So I kept a surprise for you all, I've decided to do blogmas. In fact, it isn't a surprise at all, it's actually a surprise for myself because I only decided to do it yesterday This is pretty ironic, because as you can see, it's in fact day 2 of the advent time... so let's face it, Blogmas has not started too well. My laptop stopped working and the photo's wouldn't load and at midnight last night I was still trying to upload this blogpost before admitting defeat. But from today, here I am, I'm extremely determined to keep it up. 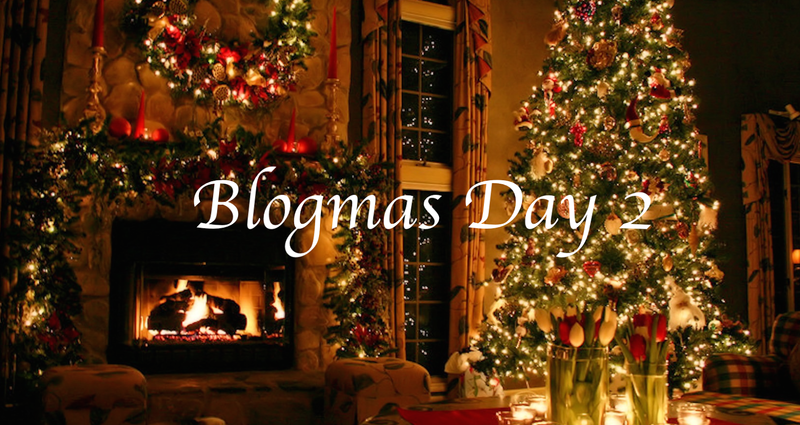 For those of you who don't know, Blogmas is where bloggers write every single day leading up to Christmas day. As most of you know, that is going to be a mean feat for me, who is currently struggling with weekly posts let alone daily. But if there's anything in the world I could talk forever on, it's Christmas day. I am the opposite of the Grinch. I'm the opposite of Scrooge. I am literally Will Ferrell's elf. So I promise I'm going to try my absolute hardest to get through it, blogging every single day. 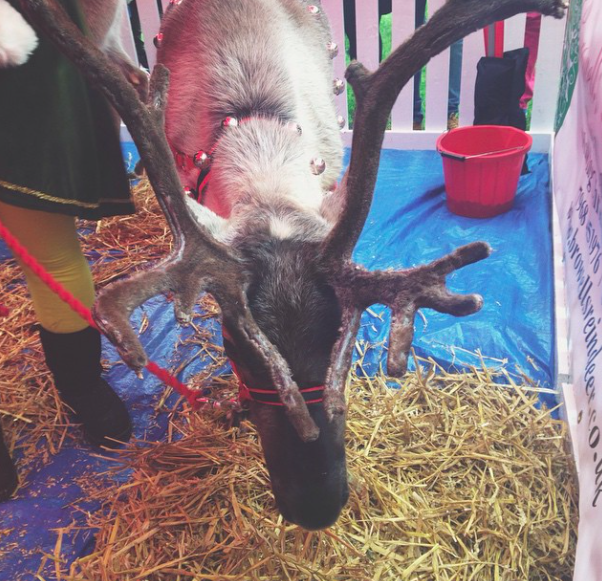 Blogmas has kicked off with the best kind of festivities, my university held a 'christmas market' which, in all honesty was a bit (a lot) of a disappointment, but one thing didn't let me down at all, and that was the reindeer. That's right, real life Rudolph joined us on campus today for a bit of christmas spirit and it totally worked. I am without a doubt a happy little christmas elf. And this definitely cheered me up as I had spent the first half of the day mourning over my lack of advent calendar this year. This is my first year ever without an advent calendar and I am shamelessly gloomy from it, I am hoping to pop into town and buy myself one tomorrow though- does that count as cheating? I don't think it does. Plus, double the chocolate tomorrow, so who's the real winner here. For my first (ever!) 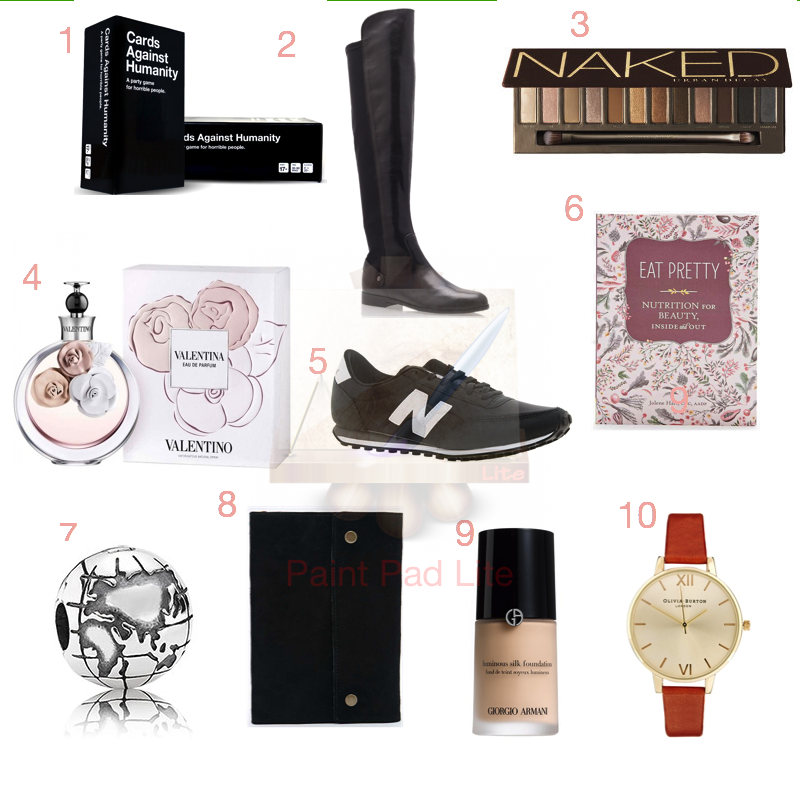 Blogmas, I thought I'd show you the things on my christmas list this year. Perhaps you're stuck for inspiration or are struggling a bit with what to get somebody- I'll probably post gift guide's later on in the month- but for the minute, I've put together some bits which I'm really hoping to land in my stocking, although I am fully aware some bits are a bit expensive, so I'm sure boxing day sales will come into handy when buying them myself! I've tried to include a wider range of prices, from £7.50-£200, but this is my absolutely ultimate christmas list. Let's hope the rest of Blogmas goes better than how it started! I did try to post this last night but my blog just didn't want to be nice to me, so the one time where the blog deadline is crucial, and I can't get it in. Typical Alice. I hope you're all getting into the Christmas Spirit! If you have any idea's then please let me know in the comments or look in my contact section for my email! I'm going to try and keep a christmassy theme but maybe throw in a couple of normal blog posts? Who knows. Cards Against Humanity is on my Christmas list too, and I've even told my boyfriend that someone has to get it for me because I want it so badly! I am in awe at you for doing Blogmas, I struggle enough blogging twice a week so I never think I'd be able to do Blogmas unless I had the whole month off work!